After The Deadline uses Artificial Intelligence and Natural Language Processing (NLP) technology to proofread content for errors and offer smart suggestions. The online tool is free and open source, available under the GNU General Public License. After The Deadline was created by Automattic, the web development corporation that created WordPress. 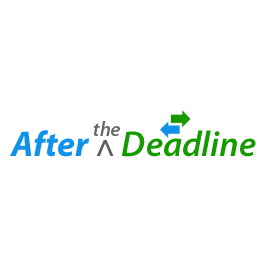 After The Deadline is a proofreading tool that uses artificial intelligence (AI) and natural language processing (NLP) to identify errors and offer smart suggestions. Free for personal or business use, the online tool helps you write better by adding spell, style, and grammar checking to web applications. It is free and open source, available under the GNU General Public License.